High output: AC (100 -240 VAC), V-Mount, optional Gold Mount Plate (GMP) or D-Tap. NPF mount is deactivated due to higher consumption than NPF battery can provide. Standard output: AC (100 - 240), V-Mount, optional Gold Mount Plate (GMP) D-Tap and NP-F. NPF mount is deactivated on High Output and Bi-Colour, due to higher consumption than NPF battery can provide. Can be upgraded with LCD or DMX module. 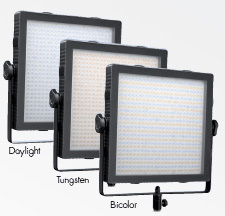 A wireless dimming module will be available in 2012 for dimming control over 512 channels. 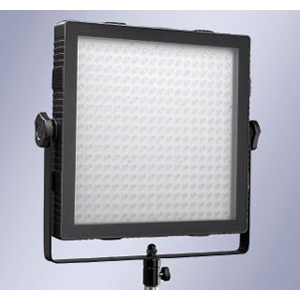 Size of light head: 30.4 x 30.4 x 7.6 cm / 12" x 12" x 3"
Size of light head with yoke: 38 x 35 x 7.6 cm / 15 x 13 x 3"
Manual operation of dimmer included with the light head. 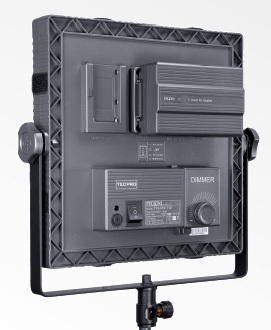 Dimmer connected with cable is easier to sue when light head is placed high on a stand. 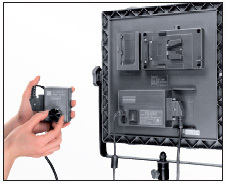 Power supply options included in each Felloni standard package. V-Mount for camera batteries, also for new AC adapter, NP-F battery shoe (not available on High Output and BiColour), Gold mount plate optional. 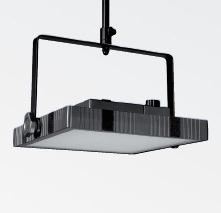 This module is compatible and interchangeable with standard dimmers and LCD dimmers. Local with buttons; LCD display for intensity.